Few food and beverage options enjoy the iconic status of coffee. Indeed, coffee is so important to so many people around the world that it has its very own culture. The coffee culture differs slightly from one nation to the next, yet each subculture has one thing in common: the enjoyment of coffee goes right to the heart of what makes us who we are. The earliest records of utilizing the coffee plant to create a beverage date back to the Middle East in the mid-to-late 15th century. From there, coffee spread to northern Africa, Indonesia, Europe and, eventually, America. Perhaps the most interesting aspect of the rise of coffee as an international beverage is the fact that what we know as the coffee culture did not really begin until after World War II. Prior to that, coffee was just another hot beverage that people drank. Coffee was not all that popular in America until the start of the Revolutionary war. Despite being very popular in Europe, especially in places like Italy and the Netherlands, American colonists still preferred tea until the beginning of the Revolution. But with the Revolution came a new fondness for coffee. The combination of tea shortages and a rejection of everything British led Americans to embrace this new hot beverage as a total tea replacement. We have not looked back since. Fast forward to World War II and we discover how important a staple coffee was to the millions of soldiers fighting across Europe, Africa, and Asia. When those soldiers returned from the war, they brought their love of coffee back with them. Sitting down for good conversation with a hot cup of java quickly became a vital social experience between soldiers in the late 40s and early 50s. This is where the modern coffee culture was born. The 1950s saw the emergence of the neighborhood diner and its coffee shop counterpart. That trend started in the U.S. before spreading to Australia, Italy, Japan and eventually most of Europe. People began meeting in small coffee shops just to enjoy a good cup and some conversation. 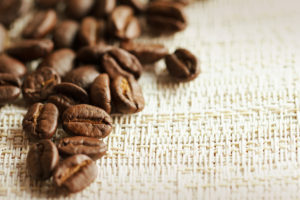 The late 1970s and early 80s took the new coffee culture to the next level by introducing flavored brews and complex blends created by mixing different beans from multiple growers around the world. Coffee shops in cities such as New York and San Francisco encouraged consumers to try new coffee drinks in a more modern setting. 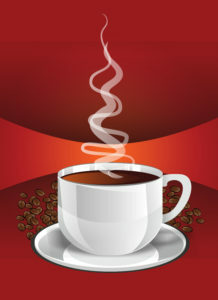 By the 1990s, coffee had become the go-to social beverage among young people. Companies like Starbucks – that were established as national franchises in the 70s and 80s – finally came into their own in the 90s. Today we find that coffee is still just as trendy and competitive as it was three decades ago. The coffee culture has certainly evolved drastically over the last 80 years. Here at Galaxie Coffee, we are looking forward to where it goes over the next several decades. Here at Galaxie Coffee, we welcome the new year with a lot of excitement and anticipation about how we can best serve our customers over the next 12 months. We will be keeping an eye on both the direction of the coffee and beverage industry as well as the changing and growing needs of those we serve. In light of that, there are some trends we expect to emerge in 2016. Most of those trends are very good; one is not so good, though nothing we cannot overcome. Espresso – Espresso is by no means a new beverage. Yet it is one that is not truly appreciated here in the United States. That may change. Engler cites the fact that brands like Dunkin’ Donuts and McDonald’s have already added espresso drinks to their menu; he expects others to follow. That should mean more espresso drinks in the office as well. Cold Brew – We have been talking about cold-brewed coffee for a while now. Cold brewing is also not new, but it has recently taken hold as a trendy way to enjoy coffee here in this country. All of the major equipment manufacturers are now making cold brew machines for the individual consumer alongside their traditional hot brew, slow drip machines. Draft Coffee – Creating draft coffee by infusing cold drip blends with nitrogen is all the rage in cities like New York and Los Angeles. We expect the trend to expand across the country in the coming months. Expect your local coffeehouse to be looking at a draft coffee system this year. Back in October, Food World News reported on looming coffee shortages they expected to see 2016. Little has changed in the three months since that report was put together. Abnormal weather patterns being experienced as a result of a very strong El Niño in the Pacific are negatively impacting coffee production in Australia, Indonesia, and other parts of the world. Food World News estimates coffee yields could be 7% lower this year. How big the gap between supply and demand grows will determine wholesale prices for this year. If coffee shortages remain relatively modest, we do not expect any drastic increases for consumers. However, shortages in excess of 7% to 10% could result in some significant changes in pricing. It is something we will be keeping our eyes on. Galaxie Coffee is proud to be able to serve the greater New York area. We look forward to what 2016 has in store for us and our customers.